On the face of it, we have a fascinating situation: Prime Minister Benjamin Netanyahu canceled his “Important” trip to Colombia, and made a point of explaining that he decided to stay in Israel to deal with matters related to Gaza. 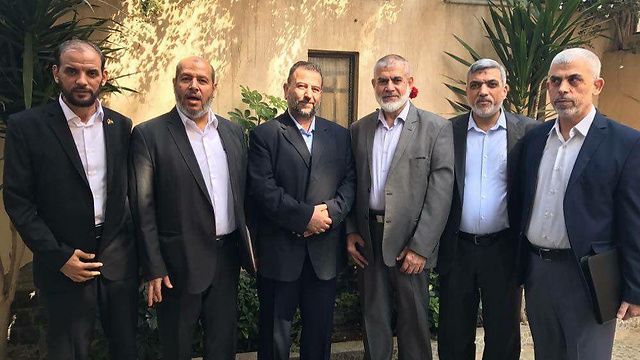 Meanwhile, a delegation of senior Hamas figures, led by Saleh al-Arouri, the great villain who was involved in the murder and abduction of three Israeli youths— Gil-Ad Shaer, Naftali Frenkel and Eyal Yifrah— in 2014, arrives in Gaza. This is the first time that al-Arouri visits Gaza. According to foreign publications, Israel has vowed not to assassinate him. 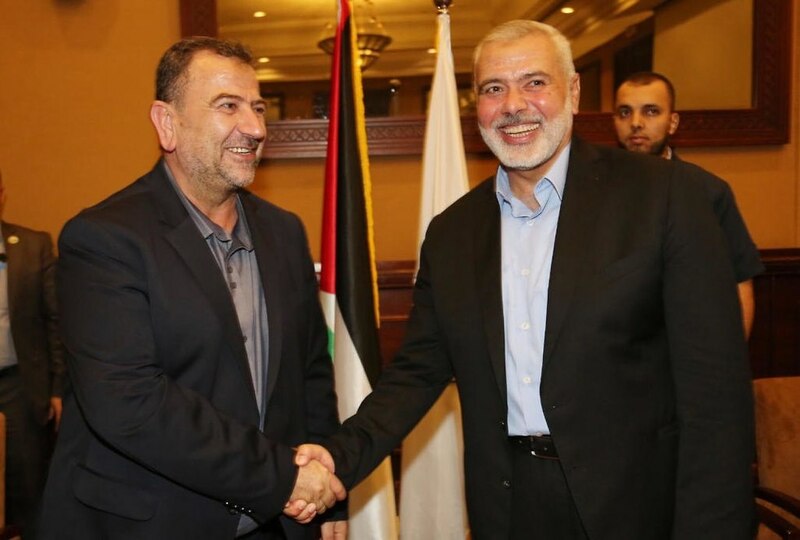 The situation takes an unexpected turn when Hamas leadership holds a rather casual meeting in Cairo and heads to the Gaza Strip to widen the meeting’s participants, walk around Gaza, and make decisions on the field. 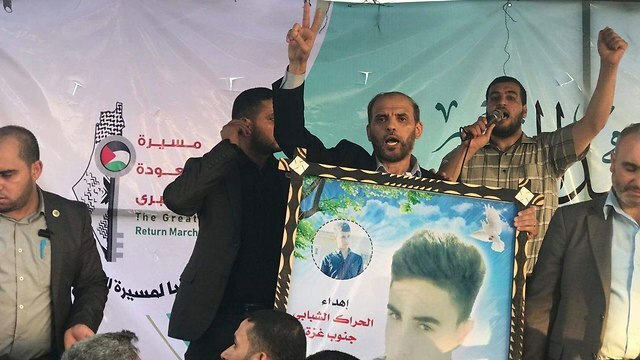 On their way to the Gaza Strip, the delegation visited the border with Israel and took photographs holding a picture of the 17-year-old terrorist who stabbed Yotam Ovadia to death in the settlement of Adam. Our eyes, then, are set on the Strip, and Abu Mazen, the President of the State of Palestine, and his associates are invited to follow as well, and burst with anger. 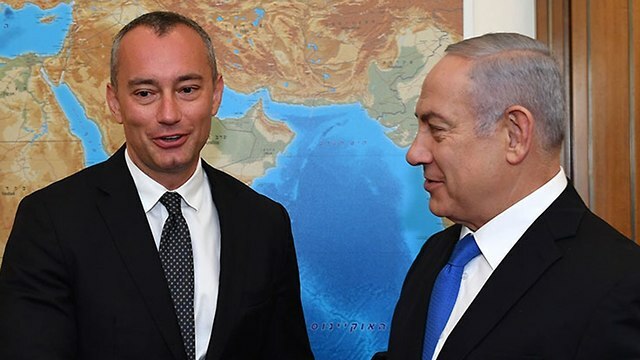 If things go as planned, eventually an Egyptian-brokered agreement between Israel and Hamas will be reached, with the involvement of United Nations representative Nickolay Mladenov and Qatar’s envoy Muhammad al-Imadi. What does the ceasefire agreement include? A cease-fire of five years (with an extension option), cessation of hostilities between Gaza and Israel, removal of economic barriers from the Gaza Strip, bringing donors to the Gaza Strip for the funding of water, electricity, the construction of infrastructure, and the renovation of houses destroyed by bombings. The last stage of the agreement includes the exchange of prisoners, captives, and missing persons (both sides are not satisfied with this plan). It is important to emphasize what is missing from the agreement: the connection between the Gaza Strip and the West Bank is not mentioned, as if they were two separate entities. Palestinian Authority, if it wishes, will establish relations with Jordan, and Gaza will gradually establish close ties with Egypt. The ties will be so close that they will (barely) have a need for the Kerem Shalom border crossing for transferring goods to Gaza. You may ask, correctly, why was it so important to bring al-Arouri? Apparently the reason lies in the Egyptian-Israeli demand to immediately stop Hamas’s mining of tunnels and the transfer of weapons to Gaza through the tunnels. Leader of Hamas Ismail Haniyeh is indeed the head of Hamas’ political bureau, but he has become too soft. His deputy, al-Arouri, who has been living in Lebanon for the past couple of years, and walking freely in the Middle East and Africa, is very cunning. His obligation, not Haniyeh’s, is crucial. On one hand, nothing has been set in stone yet. On the other hand, al-Arouri would not have come to Gaza had it not been for a serious affair, and Israel would certainly would not have vowed not to assassinate him. And yet everything is still open. 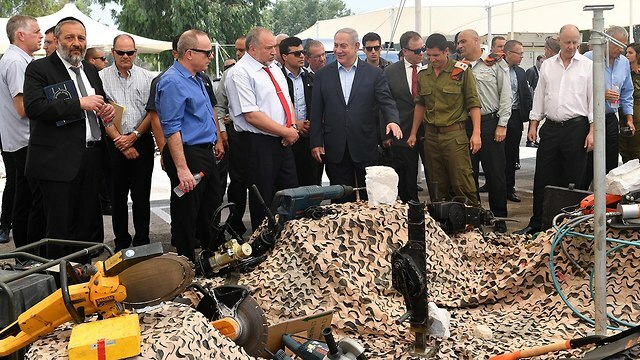 It seems to me that there was no such precedent, at least not under Netanyahu’s leadership, of a ceasefire agreement forged between Israel and Hamas’s leadership. Both sides are suspicious of each other, and even Egypt, who knows its way around, is not free of suspicions.